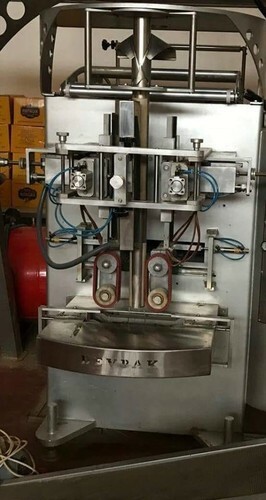 Flour Pack is a leading Manufacturer, Wholesaler, Retailer and Service Provider of Auger Filler Machine, Form Fill Seal Machine, Powder Packaging Machine, Detergent Packaging Machine, Atta Packaging Machine, Pouch Packaging Machine, Masala Packaging Machine, Biscuit Packaging Machine, Toffee, Liquid Filling Machine, Wheat Flour Packing Machine, Automatic Liquid FSM/C, Automatic FFS M/C Pneumatic, Coller Type Cup Filler, Pneumatic Auger Servo Type, Automatic Horizontal Flow Wrap, Powder Mass Mixer, Coller Type Screw Fidder, Automatic Edible Oil Packing Machine (AEOP), Automatic Mineral Water Packing Machine (AMWP), Seal Machines, Industrial Filling Macines, Automatic Filling Machines, Automatic Liquid Filling Machines, Pouch Filling Machines, Water Filling Machines, Automatic Form Filling Machines, Horizontal Flow Wrap Machines, Multi- Track Auto Pouch Packing Machines, Pouch Packing Machines, Tomato Sauce Packing Machine, Liquid Packing Machines, Coffee Powder Packing Machines, Sugar Packing Machines, Milk Packing Machines, Spices Packing Machines. We have achieved expertise in catering to the requirements of our clients exactly as per their specifications. We emphasize on stringent quality standards in order to ensure that the products provided to our clients is always optimum to its level.